Although this Brown Trout replica is certainly not the largest fish I have ever caught it is definitely the one most special to me. This is a replica of a fish that I took many years ago while flyfishing with a good friend, Duane Hada, and it was my first really good fish. 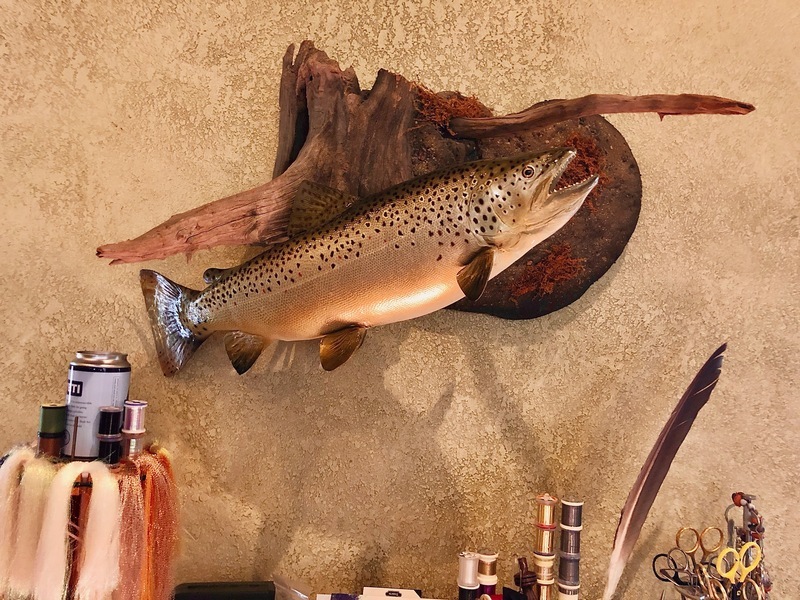 Duane first introduced me to fly fishing, which over the years became a passion that ultimately resulted in a new and completely changed lifestyle. For the past six years, the replica has been stored in a furniture warehouse where extreme temperature changes had not been kind to it. 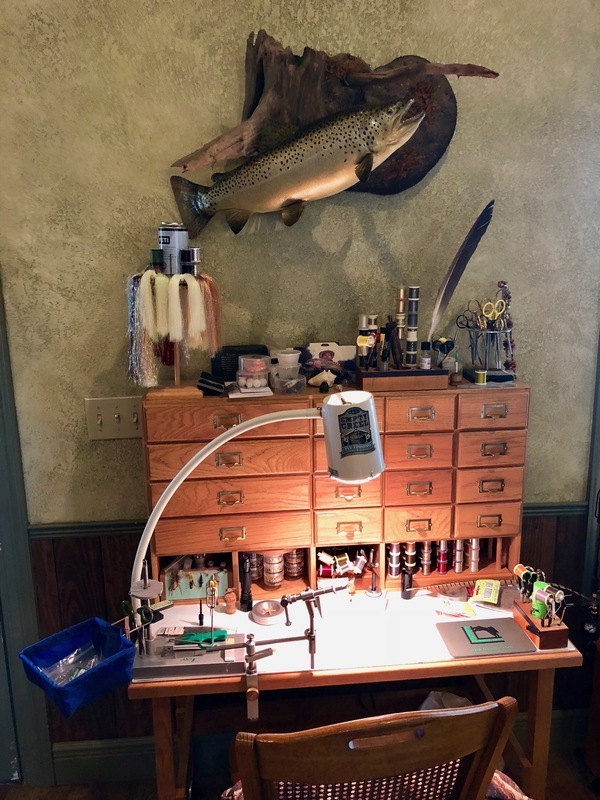 Thanks to Duane Hada‘s Rivertown Gallery it has been beautifully restored and is back where it belongs above my fly tying desk at my house on the Little Red River. Next time you are in Mountain Home, Arkansas, stop by Duane’s Rivertown Gallery and check out his beautiful artwork. Who knows, it might just change your life.